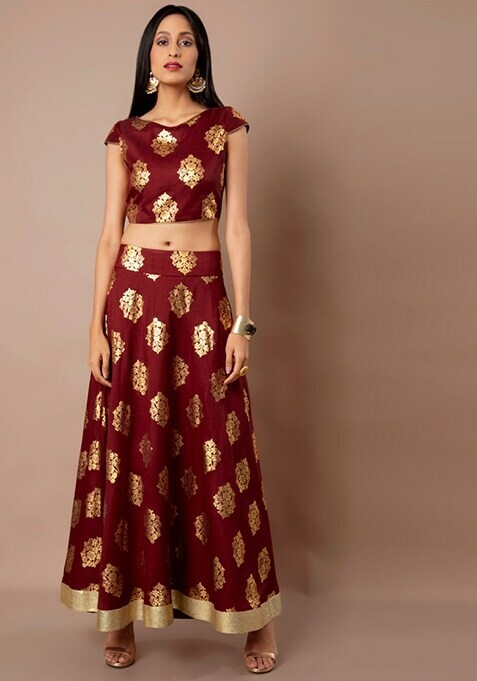 Get this oxblood maxi skirt today, the perfect companion for your favorite crop tops. Features foil print and gold stripe border. Work It: perfect to be paired with a matching crop top and heels.